Creating a Tweet from Enterprise starts by creating a Dossier. This will hold the text that you are going to tweet and contains the tools for publishing the text to Twitter. 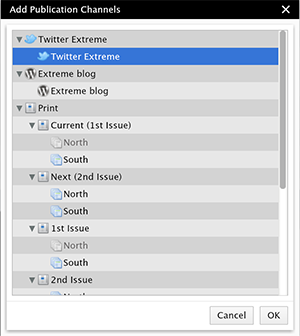 This article describes how to use the tools in the Dossier for publishing the Tweet on Twitter. Step 1. Open the Dossier that represents your story or create a new Dossier. Step 2. 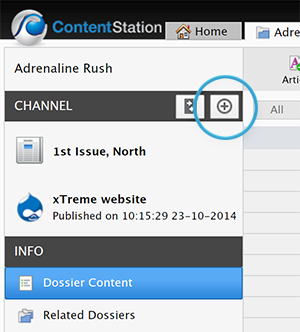 In the Channel pane, choose the Twitter Publication Channel to which you want to publish the story. 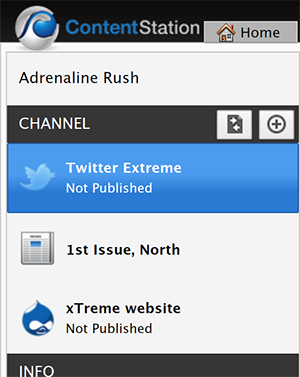 Figure: The Twitter Publication Channel selected in the Channel pane. Note: In case Twitter is not listed, add it first. Step 2a. In the Publication Channel pane, click + Channel. Step 2b. Choose Twitter and click OK. 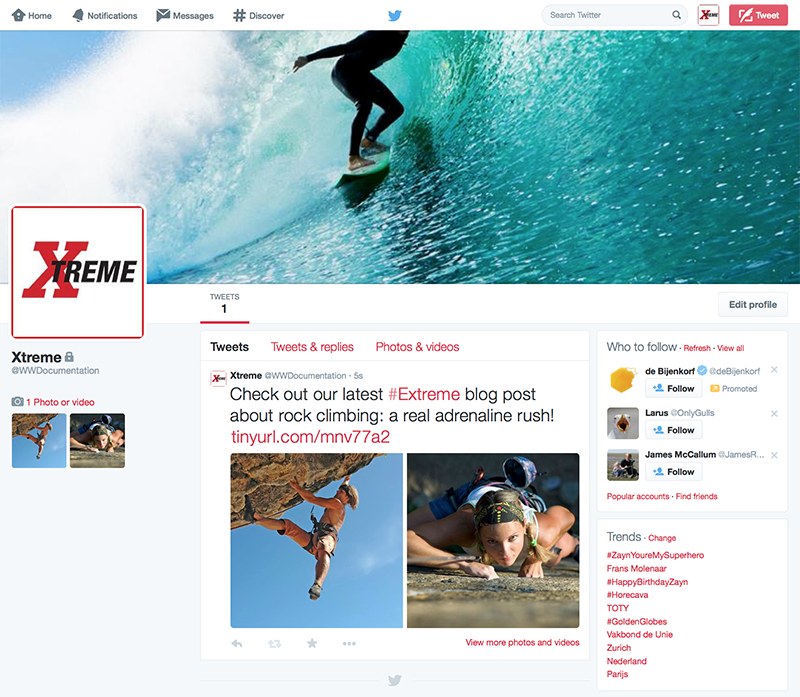 The Twitter Publication Channel is added to the Publication Channel pane. Step 2c. Select the Twitter channel. The Publish Form appears. It guides you through the process of adding all the information and content that is needed to publish the story to Twitter. URL: (Optional) A link to a Web page. Images: (Optional) Any images that you want to include (in JPEG, PNG or TIF format). Info: Adding images requires Content Station 9.5.0 or higher together with Enterprise Server 9.5.0 or higher. Note: Due to Twitter restrictions, it is not possible to preview or update a Twitter post. Tip: Periodically save your work by clicking Save. This will store a version of the Publish Form and all its content to Enterprise. 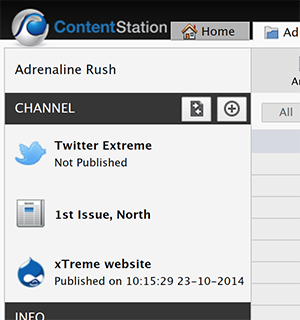 Figure: The Twitter Publish Form in Content Station. Figure: The tweet published on Twitter.